Digby Jones was born into business. Some of his earliest memories are of life in a busy corner shop where he lived with his Mother and Father and older Sister. The shop was, he says, “within a spanner’s throw of the Austin” in Alvechurch, just outside Birmingham, He remembers fondly pressing his nose against the shop window watching the new Minis as they left the factory, destined for showrooms across the UK and the world. It was here he learnt the first rudiments of business and its role in society – important values that were never to leave him. Digby discovered the importance of good customer care at an early age and the concept of cash flow and profit and loss – the very essence of good business management became an everyday reality for the young boy. And, when the supermarkets began to move into the area in the mid-sixties, he also learned about the vulnerability of business. When he was 10 his parents sold the shop and his Father became a full-time student. The family lived off a grant while he studied, before he finally qualified as a Probation Officer. His Mother worked as an Assistant Physiotherapist at the local hospital. It was at this period of his life when Digby first became aware of two very different aspects of the public sector. The young Digby showed early promise. He attended Alvechurch Primary School from where he won a scholarship to Bromsgrove School, a Public School for boys. He enjoyed his school life and worked hard. He played rugby and hockey for the school and ultimately became Head Boy. Ambitious and full of life, he was not averse to the occasional prank, but this cost him dearly a few days before he was due to leave school when he was expelled for “streaking around the quadrangle for a bet”. For much of his childhood money was scarce, but the Jones children had a good life with “much love and lots of laughter and fun”. This, he says, made him appreciate the importance of family values as well as good money management. Life in the corner shop had also made him very aware of community as where he lived almost everyone relied on “The Austin” in some way or other. On payday, families would come into the shop and spend their hard-earned cash. When times were hard they spent less, which taught him how this affected everyone, not least his own family. After Bromsgrove School, Digby was awarded a University Cadetship in the Royal Navy and served between 1974 and 1977. During those three years of service, he learnt about leadership, teamwork, and the importance of constant communication. Digby’s graduation with an Upper Second Honours Degree in Law from University College London was followed by 20 years with Edge & Ellison, a Birmingham-based Corporate Law firm, where he worked his way up from Articled Clerk to Senior Partner. During these years, not only was he involved in many major corporate transactions, but he was intimately involved in all aspects of business from “running the firm as a business” to recruiting and managing several hundred employees. It was here that he developed a vision of business and its role in society, and began to believe firmly in socially inclusive wealth creation. In 2000 Digby was appointed Director-General of the Confederation of British Industry, the UK’s ‘Voice of Business’, and was able to put some of his ideas and beliefs into action. During his six and a half years as DG of the CBI, he became well-known in the public arena, particularly for his candid, forthright attitude in his many media appearances. He campaigned relentlessly on a range of issues including the move from traditional manufacturing of commodities to value-added, innovative products and the development of globally competitive services. He also lobbied against protectionism protesting that “it is a scourge which may well find short term popularity but inhibits growth, reduces tax-producing wealth-creation, deters productivity-enhancing competition, prevents social advancement through upskilling and oppresses the weak”. Digby was a member of the CBI Team which won its match on University Challenge – The Professionals – in 2004. Digby’s views on the Public Sector remain a subject of great debate. He has stressed that, “if fundamental reform does not take place, from working practices right through to pension provision, we will end up with an ever-diminishing private sector trying to pay for, and provide pensions for, an ever-increasing and inefficient, unproductive, self-interested public sector. As a getting older population puts a greater strain on the NHS just giving it more money is not the answer. Reform is overdue but sadly politically impossible”. In 2005 he was Knighted for his Services to Business and Charity and became Sir Digby Jones in the Queen’s New Year’s Honours List. Following Digby’s departure from the CBI in 2006, he spent the next 12 months in the private sector where he held many Senior Corporate Advisory positions; Senior Adviser to the Executive of Deloitte, Barclays Capital, JCB and Computer Science Corporation Inc. He was Corporate and Governmental Affairs Adviser to Ford of Europe and its Premier Automotive Group and Adviser to Wragge & Co. Solicitors and Hugh James Solicitors. He was a Member of the Advisory Board of Thales (UK) Ltd and a Non-Executive Director of Alba plc and i-Clean Systems Ltd. He was also Special Adviser to HRH The Duke of York in connection with his role as the UK Special Representative for International Trade & Investment. In 2007 Digby served as the UK’s Skills Envoy, an unpaid role, where he became outraged about the levels of adult illiteracy and innumeracy in the UK and made the point that “we cannot hope to have a safer and healthier society if people lack self-respect or aspiration”. He campaigned for both private and public-sector employers constantly to raise the level of skills of all of their employees. On 1st July 2007, Digby was appointed Minister of State for UK Trade & Investment and became a Life Peer taking the title, Digby, Lord Jones of Birmingham Kb. Forthright and, as ever, loyal to British business, he spent the next 15 months “doing it in a different way”. He did not join the Party of Government and without the ambition to progress in Politics, he concentrated on the business of promoting Britain across the world. During his 15 months in Ministerial Office he made 45 overseas visits, travelling to 31 different countries and meeting with the world’s top business leaders and politicians. Digby is a Fellow of University College London (2004), an Honorary Fellow of Cardiff University (2004) and Cardiff Metropolitan University (2013). He is an Honorary Doctor of the University of Central England (2002), the University of Birmingham (2002), the University of Manchester Institute of Science and Technology (2003), the University of Hertfordshire (2004), Middlesex University (2005), Sheffield Hallam University (2005), Aston University (2006), the University of Hull (2006), Queen’s University, Belfast (2006), Warwick University (2006), Bradford University (2006), Thames Valley University (2006), Wolverhampton University (2006), Loughborough University (2007) and Nottingham University (2007). Digby was a Visiting Professor at the University of Hull Business School (2006-2012) and was Chairman of the Birmingham University Business School Advisory Board (2008-2016). Digby is a Visiting Professor at the University of Western Australia (2018). Digby was joint founder of Enterprise Insight (2000) now The Make-your-Mark Organisation. He served as a Commissioner for Racial Equality (2002-2007), an Ambassador for Investors in People (2004-2007) and to Microsoft’s ‘Britain Works Programme’ (2009-2010). He was President of the Diversity Works Initiative (2004-2007), a programme led by Scope (the disability organisation). He was President of Head Teachers in Industry (2004-2007) and of The Ambassadors for the West Midlands Region (2004-2007). He was Deputy President of the Institute of Export (2005-2007), Honorary President of Birmingham Forward, the Professional Services Lobby Group (2006-2007) and Vice-President of the Friends of The British Library (2005-2007). He was an Honorary Fellow of UNICEF (2002-2012). He is an Honorary Fellow of The Institution of Mechanical Engineers (2009) and The Institution of Structural Engineers (2011). He was a Director of Birmingham Hippodrome Theatre (2004-2007) and Chairman of the London Board of SportAccord (2010-2011). In 1998 as Chairman of The Birmingham Hospice Appeal which raised a total of £1.5 million, Digby personally raised £218,000 towards their target by cycling from John O’Groats to Land’s End in 14 days. He ran the 2005 London Marathon in under 6 hours raising £191,000 for both Cancer Research UK and UNICEF. Digby became Midlands Dealmaker of the Year in 1996 and received a Lifetime Achievement Award from The Birmingham Law Society in 2001. He was recognised with a Lifetime Contribution to Midlands Business Award by the Midlands Business Awards in 2009. 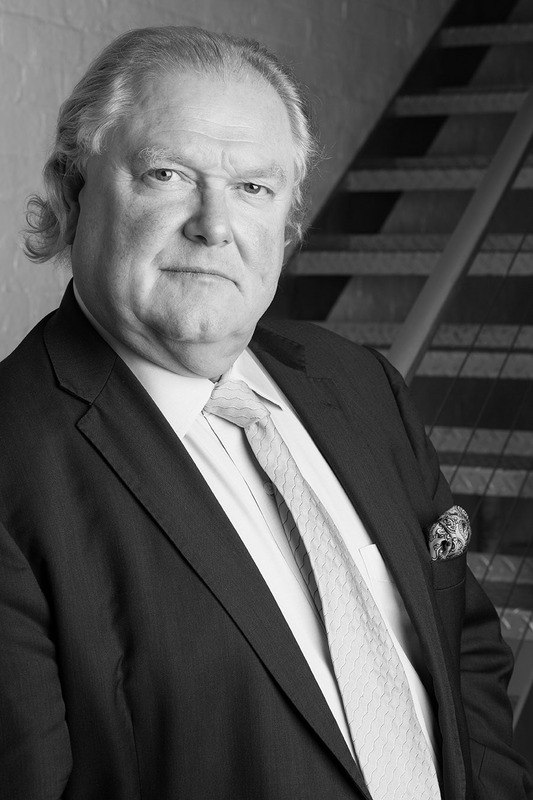 Nowadays Digby runs his own Business, Digby Jones LLP and advises in many paid and unpaid roles. He serves as Non Executive Chairman of Triumph Motorcycles Ltd, Thatcher’s Cider Ltd, Elonex Ltd, Metalfloor UK Ltd, ProBuild 360 Ltd, Argentex LLP and On Logistics Ltd and is a Non-Executive Director of Leicester Tigers plc. He is Corporate Ambassador to Aon Risk Solutions. Digby is Chairman of the Advisory Board of X-Force (the Social Enterprise helping Veterans into self-employment) and he is a Member of the South Warwickshire Multi Academy Trust. He sits in the House of Lords as a non-aligned Crossbench Peer. Digby was Non-Executive Deputy Chairman of the Unipart Expert Practices (UEP) Division (2013-2017). He was Chairman of the International Advisory Board of HSBC (2009-2012) and of the International Advisory Board of British Airways plc (2010-2014). He was Chairman of Celixir plc (2015-2018). He was Senior Adviser to BP plc (2012-2015) and to Harvey Nash plc (2010-2017). He was Corporate Ambassador to Jaguar Cars (2009-2017) and to JCB (2010-2015). Digby was Chairman of the Board of Governors at Stratford Upon Avon College (2015-2017). Digby appears regularly on television, radio and in the newspapers, being known for his firm views on numerous aspects of life in a globalised economy. He is an active public speaker at events and engagements all over the UK and overseas fulfilling his vision of promoting socially inclusive wealth creation and fighting for business and reform of public services. He champions the UK’s role in the world as a home of global competitiveness. He won the BBC’s ‘Celebrity Mastermind’ in 2010, published his first book titled “Fixing Britain – the Business of Reshaping Our Nation” in 2011 and in 2014 he presented the BBC TV series, ‘The New Troubleshooter’. He presented the BBC Radio 4 programme ‘The Business Covenant’ in 2015 and in 2017 Digby published his second book titled ‘Fixing Business – Making Profitable Business Work for the Good of All’. Digby is married to Pat and they live in Warwickshire from where they enjoy the theatre (he is a member of the Artists’ Circle at the Royal Shakespeare Company), The Birmingham Royal Ballet and The City of Birmingham Symphony Orchestra (where he is a major patron). Digby skis and has more than a passing interest in military history. He is an avid Leicester Tigers and Aston Villa supporter. Remember: there are always two sides to every issue; consider both before making a decision.